To be “unreached” means that an entire people group could spend their entire lives without ever hearing the good news about Jesus and His kingdom. Not once. Many of these unreached people groups live in a part of the world called the 10/40 window – an area that spans from the shores of Morocco to the east coast of China – and holds 1/3 of the world’s population. I have never encountered God’s love as deeply as when I have sat among the unreached peoples of the world. 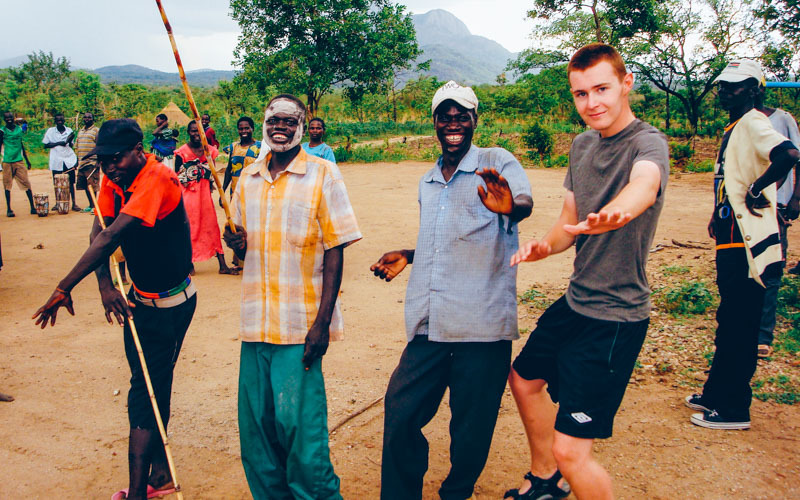 When I was 23 I found myself amongst an African tribe that had never seen foreigners before. They lived remotely in an isolated in a mountain valley and were rejected by the other tribes around them. They danced and sang songs about how other people stayed away from them. On our first day there, a blind man came to our campsite. We felt God leading us to pray for him. Within 15 minutes we had witnessed a miracle: the man could see. And that was just the beginning. From that point on, every person we prayed for was fully healed and we were able to hold their first ever church service on Easter Sunday. Before meeting this tribe, it was hard to grasp the depth of God’s love for the unreached. But in this one week, I caught a glimpse of this love. I am forever convinced that God is committed and ready to express His love to the unreached peoples of the earth.